My friend, Esther, recently gave me a copy of her new book, When Chronic Pain & Illness Take Everything Away. Currently it is available on Amazon as a free kindle book! But hurry - this sale ends later on today! This is a good book for anyone with a chronic illness or chronic pain, whether they are newly diagnosed or have been living with a chronic condition for many years. In this book, Esther helps those with chronic pain and illness acknowledge what has been taken away, and she encourages them to bring their grief and suffering to God. She offers practical tips for grieving losses, whether they are new losses or simply a new cycle of grief from losses sustained years ago. She helps the reader to move on with joy in the midst of mourning, reminding believers in the Lord Jesus Christ of the hope and joy they have in the midst of pain. Each chapter has journaling questions to help the reader process what they’ve learned. This is an encouraging, helpful, and practical guide for anyone who is mourning losses due to a chronic health condition. I recommend it to all my chronic pain and illness friends. I enjoyed this book so much that I asked Esther if I could share an excerpt here with you. She generously said that I could. Thank you, Esther, for sharing your words with us today! 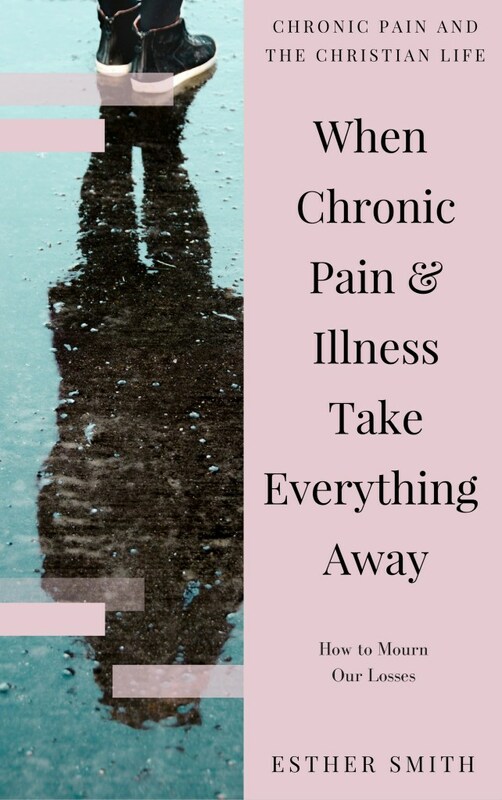 Life with illness and pain is not all sorrow and grief. Our lives are filled with a deep suffering that can only be mourned, but there is more to this life than calling out to God in our distress. I look at my friends who deal with unimaginable pain and challenging symptoms. Knowing all that goes on in their lives, I might expect to see constant weeping and sorrow. But I see so much more. I see resilience and laughter. 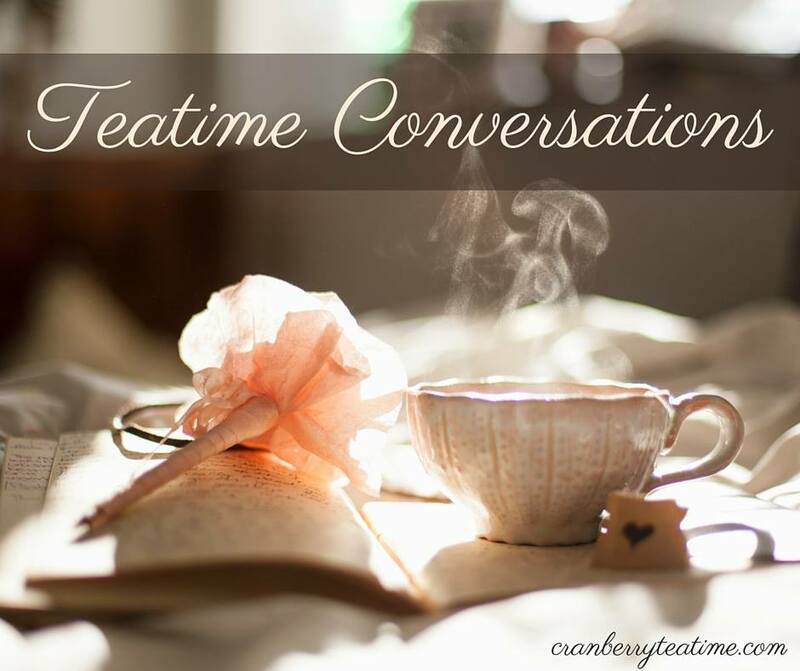 I see normal conversations about food and books and movies and hobbies and ideas. I see people making horrible moments a little better for themselves and those around them. All is not loss. For every family that leaves, I see another family who loves and supports and protects in the hardest of times. For every job that is lost, I see individuals finding ways to step out and make the world a better place, even as they suffer, even as they grieve. For every relapse and new diagnosis, I find those who are celebrating times of remission and days of relief. Between the tears, I see jokes and laughter thrown back and forth about the ridiculous things people say and the stranger-than-fiction medical professionals who, perhaps, shouldn’t be practicing medicine. We laugh so we don’t cry. We joke because it makes the craziness of our lives more bearable. We find reasons to be happy because we know if we can’t be happy while we are in pain, we will never be happy at all. And who wants to live a life like that? No one. So we infuse our days with things that make us happy, we create moments of laughter, and we choose to experience joy when joy would not be the expected response. We are living proof of Proverbs 14:13 that “Even in laughter the heart may ache, and rejoicing may end in grief.” This is our joyous, sorrowful chronic pain life. This is us finding joy in the pain. This is us believing we will find the goodness of the Lord in the land of the living. This is our rebellion – just because we are in pain doesn’t mean we can’t be happy. As long as we have pain and illness, sorrow and mourning will remain. Grief will be a lifelong process because, for many, pain is a lifelong trial. Our goal is not to replace the sorrow and mourning with joy; rather, our sorrows comingle with our joys, as we mourn our losses and rejoice in our God simultaneously and together. We are following in the footsteps of Paul who lived his life as a sorrowful man who was always rejoicing (II Corinthians 6:10). We recognize the continued importance of grieving throughout our daily lives of pain, but this is not the end of our story or the fullness of what we strive for. A glorious and inexpressible joy is available to those who know Christ. I imagine this joy as our capacity to experience the love and goodness of God. And it is because of the unceasing nature of God’s love and goodness that joy is available to us regardless of our circumstances, regardless of what is going on in our bodies and in the world. God’s promise to us is that we will see his goodness, even here, even now, in the land of the living. 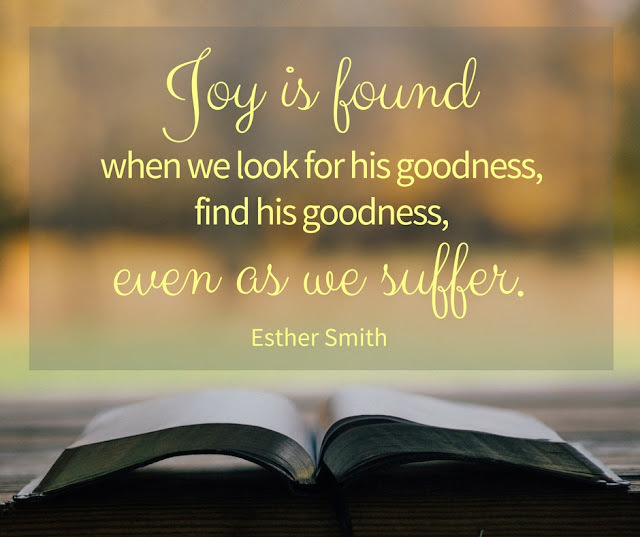 Joy is found when we look for his goodness, find his goodness, even as we suffer. 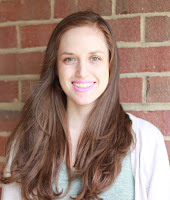 Esther Smith is a counselor, writer and blogger who lives in Maryland with her husband. She blogs about life, faith and chronic pain at lifeinslowmotionblog.com.